Automation is doing certain things automatically. UiPath is the best RPA tool in terms of technology. 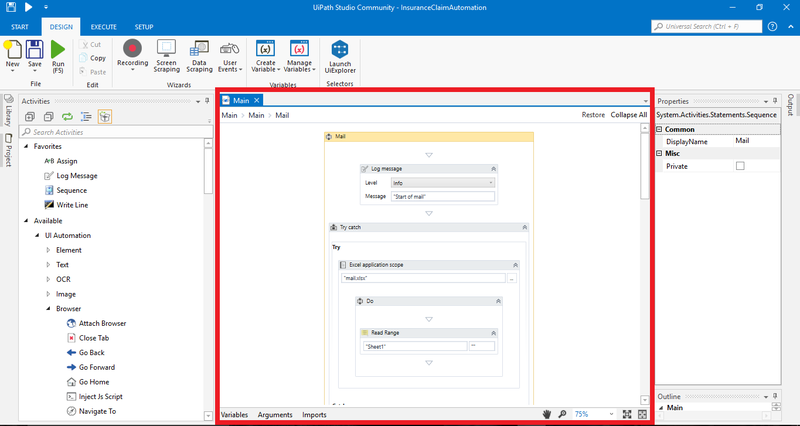 The community edition of UiPath is free of cost and anyone can download and use it. 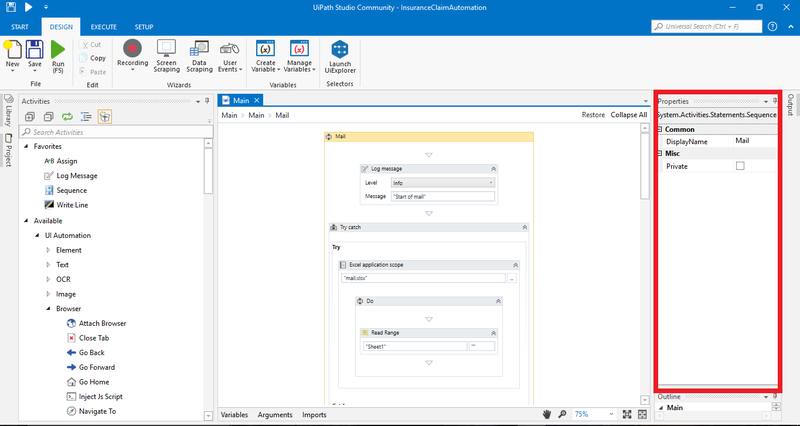 UiPATH studio is the IDE that is used to create Robotic Process Automation. This is how the start page of UiPATH Studio looks like. You can select any of the options to create a process. Sequence is used when the tasks needs to be done in sequential manner. Flow charts are used when there are multiple branch or conditions. UiPATH has 300+ inbuilt activities. We can also import packages like Excel, Mail, PDF in addition to the builtin packages. These activities are available in activities pane. UiPATH work space is the place where we actually create sequences or flow charts. 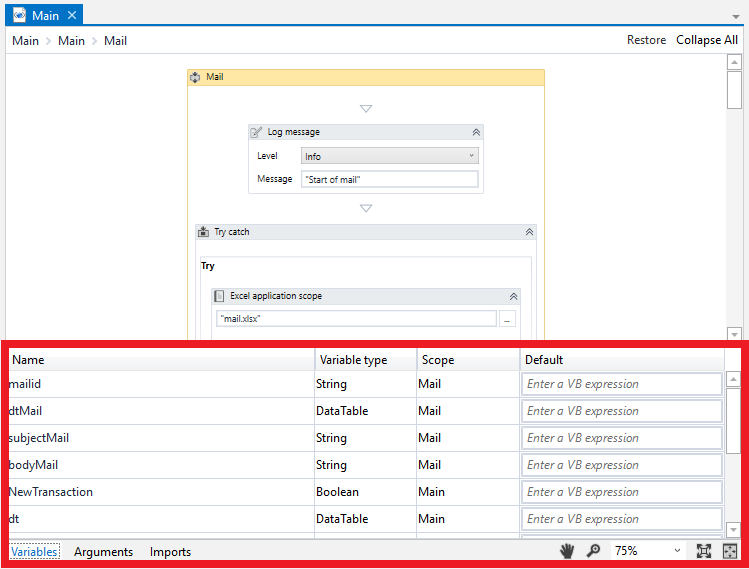 The tools allows the user to create variable and store values using the variables pane or using the properties pane. 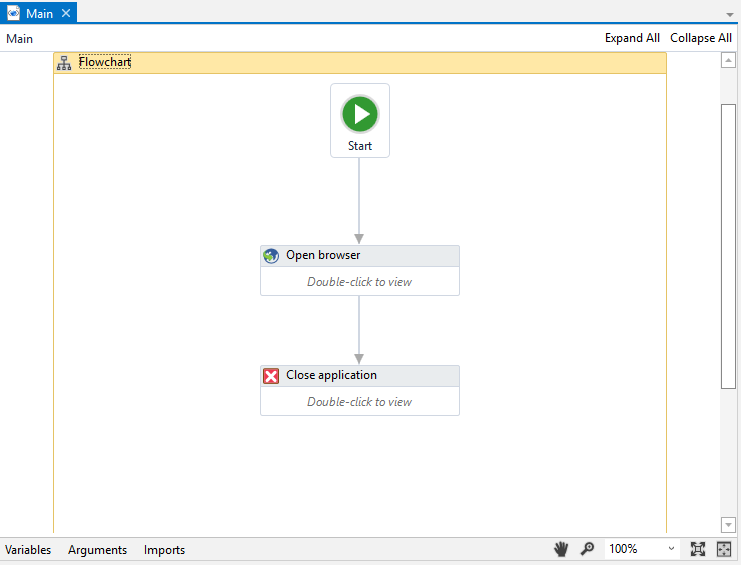 The sequences and flow charts are called as workflows in UiPATH. 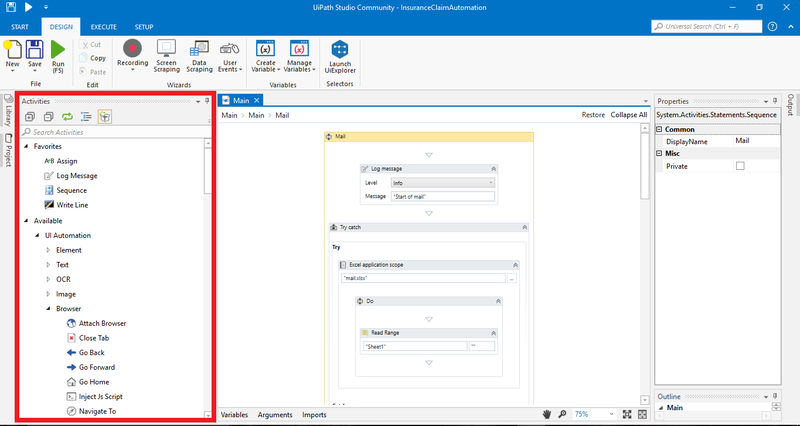 In properties pane, we can give properties and values to components in work flows. Also we can create variables by hitting ctrl + K key in output textbox. These three are the important panes in UiPATH. The other panes are Output Pane, where we could see the Outputs, Logs and Error Messages and Outline pane, which shows the outline of the project. Scraping is getting specific data from a page or application. Screen Scraping is used to scrape data from applications and web pages. Data Scraping is scraping data that is repetitive in structure like query results in Google Search Engine or any tabular content. It has a special wizard called Data Scraping Wizard, that helps to Scrape data. Data Scraping is mainly used in web pages. UiExplorer has details about the user interface components and selectors. A selector is basically a plain text that is used to find a particular UI element among the running applications. 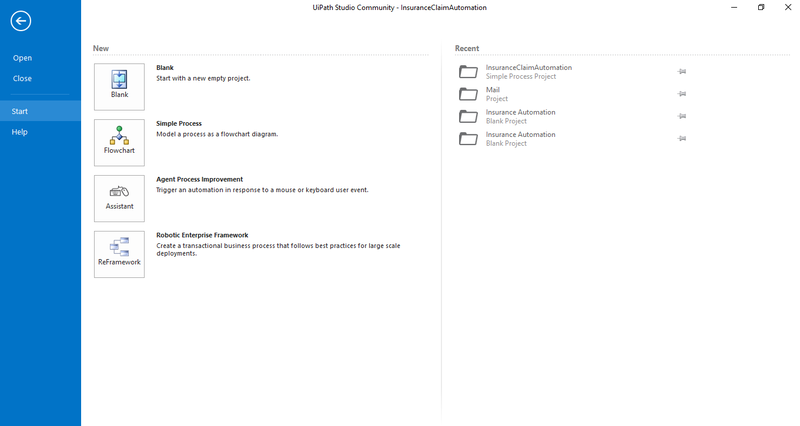 Run is used to run the Software Robot in UiPATH environment. 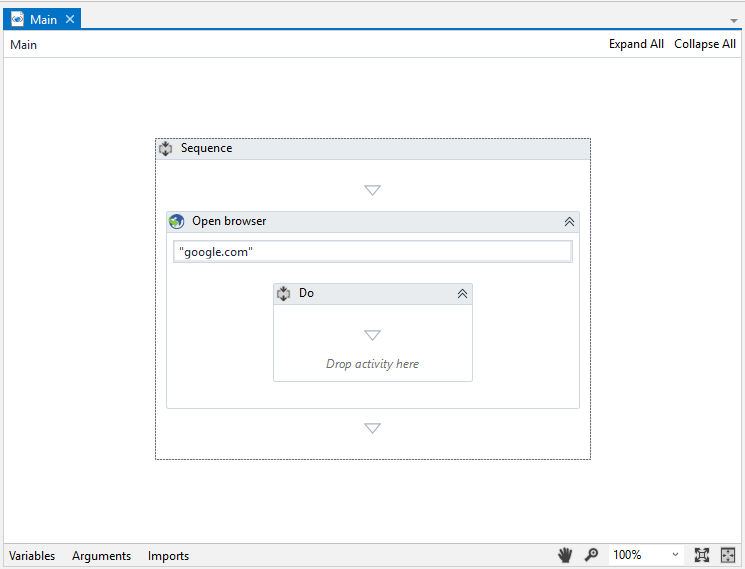 Debug is used to analyse the workflows step-by-step. Break Point is used to pause the debugging at a particular step. Slow step is used to execute the bot little slower. This flow chart opens browser and go to google.com and close the browser. To learn more about RPA and UiPATH, take up a course in UiPATH Academy. Looking forward for your valuable feedbacks and suggestions.